In the previous installment (Part Fifteen), I had dinner with Ohmygod who finally opened up a bit and let me know that his mother is a well-known figure in Toronto (and his brother and sister both had more than respectable jobs). We finished dinner and we were about to head back to the hotel (at least that was my plan…). I told Ohmygod that he had to tell me the combination of his lock since there would be times that I would need to move his bike and I would need to change it back at the end of his trip (which was still two and a half weeks away). He pondered for a moment, and then reluctantly told me the combination: “1-1-1-1”. He was worried about having his bike stolen from the other clients on the trip, so he changed the lock combination to one that was so “foolproof” that it could be “cracked” by just about any three year old. These words would not be shocking at all if they had been uttered by Ohmygod. In fact, I was almost expecting him to mumble something to that effect since there had been no beer at the restaurant, which means he had gone at least a couple of hours without a drop of his beloved beverage. But it was not Ohmygod’s voice that asked. I looked around quickly to unmask the interloper—but there was no one else there. Immediately, a cold shudder passed quickly from my eyebrows down my body and out my toes. It must have been me that said it. I could not believe it. Had I just asked Ohmygod to join me for a beer after sacrificing my night off at my favorite restaurant with him at dinner? I was dumbfounded and a little bit lightheaded, wondering if I might faint. I was certainly not drunk, since that was clearly not possible—Ohmygod had consumed roughly 87.2% of the two bottles of wine that I ordered (and paid for) at the restaurant. No, my vertiginous state was caused by the sudden realization that despite spending most of my life convinced that I was perhaps a bit ahead of the curve on the intelligence scale, I was actually a full-blown moron, a certifiable dimwit. Being somewhat forced to have dinner with him on my night off, I figured that I had replenished my good karma bank account and events would soon be bending back in my favor. After serving my two hour sentence at the dinner table, I could have simply returned to the hotel and gone to bed, saving all my karma points for another day. Instead, I open my gigantic mouth and inquire whether Ohmygod might want to join me for a night cap. This, no doubt proved beyond any doubt that I was actually an insufferable nincompoop, unworthy of any future good-fortune. And why? I thought for a moment that I really should consider joining Alcoholics Anonymous since I was clearly needing a glass of wine so badly that rather than just grab a drink alone (a sure sign of addiction, I imagine), I invited Ohmygod so as to disprove any claims that I was in desperate need of a 12 step process. I then considered the fact that since the ghost of the Marquis de Sade purportedly haunts the castle in nearby Saumur, I might have fallen under some perverse spell, causing me to become some form of masochist. Finally, I adopted the position that it was, after all, my job to assist clients in just about every aspect of the trip. I subconsciously realized that Ohmygod, despite being an enormous cyst on my rear end, was a client and I asked him to join me out of habit. A far more tame explanation, certainly, but out of the three, the only one I could adopt without promoting a full-blown mental breakdown on the spot (I was hoping to postpone that eventuality until at least the third week of the trip). Of course it was entirely possible that I suffered from a as of yet undiscovered rare genetic defect that caused me to utter idiotic phrases that were inherently benevolent, but ultimately caused irreparable harm. I would call it “watanidiotuaria” or “kantshutmyeffingtrapsia” but that would probably not be up to me. At some point during my self diagnosis, Ohmygod uttered “OK” but I am pretty sure that it was after he asked me what kind of beer they had (I think I made a snide comment in response—something to the effect of “better beer than any you have had in the last two hours”—but I am not entirely sure since I had clearly lost all linguistic control at that point). Tours is a University town, so there is no shortage of night spots near our hotel, but I was really wanting a bit of Crémant (“Crémant”, generally speaking is wine made using the Champagne method, but does not come from Champagne) so I decided on a bar that had a fairly good wine selection as well as a couple beers; I learned a few days earlier that it was best to limit Ohmygod’s beer options to but a few (I had no idea what I was going to do once we got to Belgium, but I would worry about that another day). I opted for a bar on the Place Plumerau, which has countless bars and restaurants that feed onto the square, and most of them have ample outdoor seating. I figured that if I was going to be stuck with Ohmygod, I might as well try and enjoy the weather. I settled on a a bottle of Bouvet Crémant Rosé (I actually asked if they had half bottles, but was really relived when the waiter smiled apologetically, shaking his head). Bouvet is located in Saumur, and I figured that by ordering the wine, I might be able to exorcise the influence of the Marquis de Sade, if that was actually what was afflicting me. It is certainly not the greatest Crémant, but it would definitely do the trick. I have no recollection of what Ohmygod ordered, since after he asked to hear the beer choices for a third time, I zoned out. I think I picked up on the waiter rolling his eyes, looking to me for some relief, but I quickly turned away—he was going to have to earn his 37 cent tip. Instead, I went into full shut-down anti-social mode and began visually stalking some of the passersby. I started playing one of my favorite people watching games: trying to pick out the Americans (the shoes are usually a dead give away). A few moments after ordering, I saw Mr. Personality and Grumpy walking along the square, apparently returning from dinner. It was immediately clear that they both had more to drink at dinner than I (but that was a rather low bar), as they were talking and laughing rather loudly. At that precise moment, the waiter had returned with the bottle and I hesitated whether to call them over to join us. It was a completely selfish moment—if there was one thing that I knew Ohmygod did not like to drink, it was sparkling wine. Perhaps it was due to the rather unfortunate incident in Chenonceaux a couple of days before, but my choice of Crémant was made, at least in part, knowing that he would not ask for a drop. Now here came Frick and Frack and I would be obligated to offer them a glass (at least until their own drinks showed up). I pretended not to see them. Yes, I know I am going to rot in hell, in case you were wondering. Malcolm Gladwell (from the New York Times). I thought this would be enough and they would just mosey on. I really must be one of the world’s biggest idiots: I was sitting with a guy with hair that would make Malcolm Gladwell look like a marine, who was also wearing cycling gloves and a helmet, and had a florescent orange food-stained cycling jersey. Sitting at a café. At ten o’clock. P.M.
Yeah, they were not going to notice him. Actually, it seemed as though they were going to blow on by—no doubt trying pretend as if they did not see him, but at the last moment it appeared that they noticed me skulking in my chair, clearly annoyed with life. After making eye contact, they stopped, said hello, and asked if they could join us. I have never heard anyone ever reply negatively to that question (“No, you can’t join us since well, we think your an blubbering fool….”) and there was no way I would be the first—they would then have the green light to never engage with Ohmygod for the rest of the trip. There was no way I was going to go down on this ship all alone…. After some brief reflection, they likely thought they were doing me a favor, and they were. I was just being cheap (in my defense, I did buy two bottles of wine at dinner and ended up with nary more than a glass and a half). If they had not shown up and joined us, I would just have sat there, in silence, drinking my wine, wishing I were dead (maybe a call to AA might be necessary after all). I motioned over to the waiter to get two more glasses and our two new companions began to criticize the bike route into the city. Way too much traffic, got lost a couple of times, who wrote the directions…. I had heard it all before–each time we went into a city, not just Tours. The simple fact is that cities were not designed for bicycle traffic; modern cities were designed, for the most part, around the automobile and although it is improving (with more dedicated bike paths), it remains a bit of a crap shoot. Besides, I had written the directions myself and I thought they were both clear and witty (if I do say so myself). 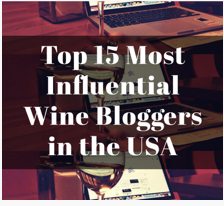 Yup, we were going to need another bottle of wine. A different waiter approached the table with three additional flutes. There was little doubt in my mind that the other waiter had somehow dumped our table on to this poor schmo, obviously realizing that we were just one slight bend in the track away from a full blown train wreck. He placed a glass on the table for both Grumpy and Mr.Personality and then held up the third in front of Ohmygod as if to ask if he would be having some of the wine. Ohmygod did not notice at first since his face was halfway down inside of his beer mug, trying to force the remaining three drops to succumb to their inevitable fate. This new waiter stood by dutifully as Ohmygod did everything but tap the bottom of the glass to release those final drops. Once Ohmygod was satisfied with his effort, he placed the mug on the table and belched. Mid-belch, he noticed the waiter standing next to him and tried to halt the progress of his lengthy eructation (I am not sure if he were actually embarrassed, simply surprised, or actually appalled at the thought of drinking sparkling wine). This caused him to start coughing violently, ending in some lovely hacking and culminating with a impressive expectoration of phlegm on the sidewalk right next to a table of attractive female college students. The waiter scurried off, no doubt in search of someone with even less seniority than he, without me putting in the request for another bottle of the Bouvet (which was actually quite nice). I am not a cigar smoker by any means, I have likely smoked but five in my life, but I knew Cohibas. How bad could it go? Then he offered one to Ohmygod. And I had my answer. This entry was posted in Humor, Ohmygod, Sparkling Wine, Wine and tagged Ohmygod. Bookmark the permalink. I am usually howling with laughter before finishing the first sentence. You are a gem! Another great installment. Can’t wait to hear what happens with his cigar. Thanks Tom! Yeah, that cigar…. Thank you for this fun, humorous piece. Just what was needed amid hectic, holiday shopping! You need to go back and start from the beginning–15 more installments…. can’t wait for the next post. that’s not him in the photo, right??? 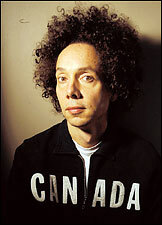 No, that’s Malcolm Gladwell. I do have a picture of the real Ohmygod, but I figured that would be unethical or something like that. wait. I just got it. Your writing reminds me of Art Buchwald’s. I’m dating myself here, but I was just remembering “An American in Paris” which I read when I was young. Very funny. Especially with a French mother. I experienced plenty of bad American behavior when we would visit France! You should really write a book! Thanks so much Mimi! I am thinking about it…. just googled Malcom. No wonder I don’t know who he is. Those books he writes are not on my shelves. Crazy topics! You should read some of his work–very interesting and thought provoking! Lol! I especially like your French idiotic phrases! Yeah, we’re just getting started…. What a story! Looking forward to the next installment! Glad you liked it! There is a 17th installment. #18 should be out at the end of the month….